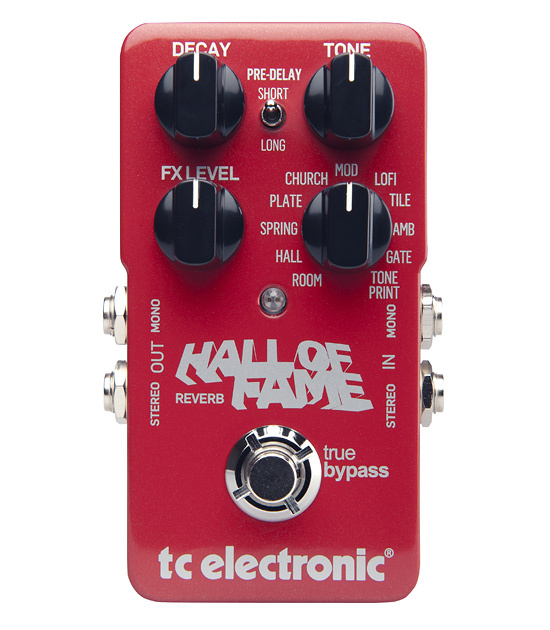 Yesterday, I wrote an article about how my beloved Hardwire RV-7 Reverb had finally gone on the fritz, and I was going to try out the TC Electronic Hall of Fame Reverb, which I’ve had now for a few years, but hadn’t put on my pedal board. This wasn’t because I didn’t think it was good; in fact, I gave it pretty high marks in my original review back in 2013. But that was a studio test. Testing in a controlled environment is one thing, but for me, gear doesn’t really reveal its true nature until I’ve used it live. The conditions are completely different than in a studio, and oftentimes I’ve found that something might sound great in the studio, but in a live performance situation, just doesn’t perform all that well, no matter how it is adjusted. But as you can tell by the meme, that is definitely not the case with the Hall of Fame. In fact, it performed so well that it’s not leaving my acoustic board. Ever. Yeah, yeah, I know that there are awesome boutique reverbs out there. 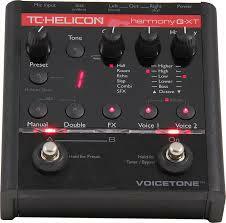 But when you dial in a great sound, irrespective of the pedal, you don’t mess with it. It’s like the saying in baseball: You don’t f$%k with a streak. If it works, you go with it. Truth be told, I found a “magic” setting for the pedal, and not only did it meet the capability I expected it to have – that is, at least equivalent to my old RV-7 – it far exceeded my expectations. That setting didn’t make a lot of sense to me at first because I normally like to run a reverb at about 50-50 wet/dry with a short decay, and that’s how I initially set it up. And as opposed to using a spring setting, I’ve turned to using a Hall reverb. I had gotten used the natural subtlety of the RV-7, but the Hall of Fame Hall reverb is much wetter at the 50-50 level setting than the RV-7. It’s also slightly brighter in tone. So here’s how I set it for my acoustic rig, which goes directly into the board: Hall effect; Tone at 11 am; FX Level at 10 am; Decay at 2:30-3 pm, which is about 70-75% of the sweep; and Pre-Delay set to short. That setting is a little unintuitive to me because of the long decay. But with the level kicked back, what it does is provide a nice tail in between notes, but with the lower FX Level, I retain my note clarity. 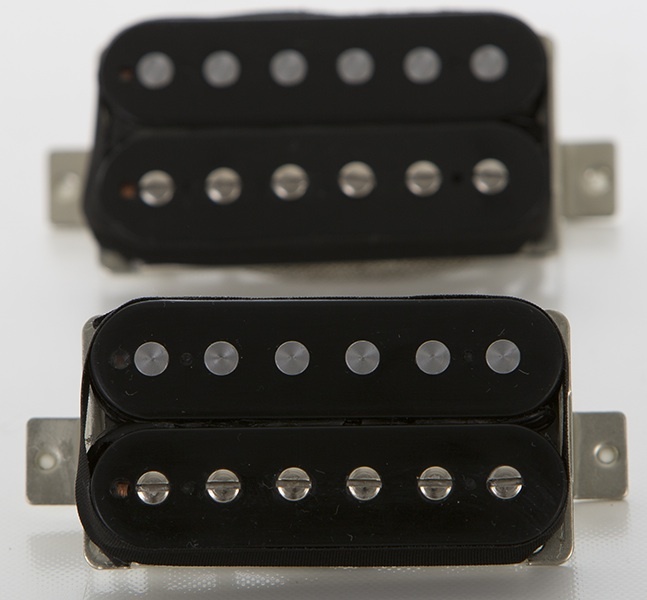 The result is a subtle, expansive, and deep and rich tone. And though set to Hall, which you would expect to be super ambient, again, the lower FX Level ensures that I can hear all my notes up front, while the tails due to the Decay provide the lingering of the notes. It’s beautiful. What was an even more pleasant surprise was how well it played with my other modulation pedals. 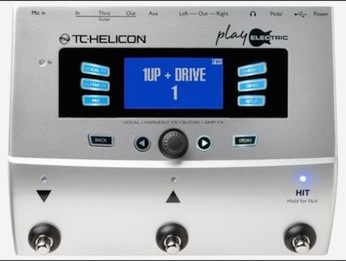 I expected it to play nice with my Corona Chorus as that is another TC Electronic product. But I didn’t quite know how well it would play with my Mad Professor Deep Blue Delay. It played nice. Very nice. For some reason, my old RV-7 sat better in my chain in front of my delay (I know), but the Hall of Fame definitely belonged at the back, as the last pedal before my looper. That I’ve had this pedal for almost four years and haven’t gigged with it is an absolute shame. I was so blown away by how it performed last night, and I even got several comments from both staff and patrons commenting on how good my guitar sounded. The Hall of Fame has definitely found a home!